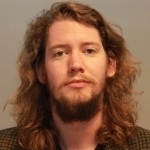 Luuk is a PhD candidate at the University of Twente, the Netherlands. His interests revolve around IPv6-specific measurements, with a focus on security. Guest Post: Zesplot is a new tool that allows users to more easily visualize and monitor for errors in the IPv6 address space. Guest Post: New research shows that network operators cannot simply rely on the size of the IPv6 address space to hide open DNS resolvers.